Don’t get me started on the issues facing working mums in the UAE. Okay, let me me have a little rant… From 45 days of maternity care to a gender pay gap that is frankly shocking for 2016, mothers are often on the back foot with many regionally-based companies. Add in the fact that part-time or even flexi-time is rare if not unheard of, then you’re looking at working women frequently forced to choose between family and career, usually against their wishes. It has been particularly heartening then to see recent articles in UAE media shining a light on the untapped talent pool that is mums, many stuck at home hoping to get back in the workplace, but unsure how to get there. Further good news now has come in the form of Mums@Work, a concept by recruitment agency Mackenzie Jones, that aims to educate employers on the benefits of hiring mums and create a portal for resources to build confidence and skills. Co-founded by David Mackenzie, who started the agency 13 years ago, and communications specialist Louise Karim, Mums@Work is a company by parents, for parents. Both juggle family life and career, and want to help others do the same. I spoke to Louise to find out more. What is the aim of Mums@Work? Mums@Work aims to revitalise the careers of mums who have taken some time from their career to have their family. We look to offer candidates the tools and confidence they need to get back to the workplace, whilst matching them to the right roles which offer part-time or flexibility to balance their career and families. We will work across all sectors with large corporates to SMEs, working on roles from senior director, managerial and admin positions, throughout all sectors and divisions. Mums will register their interest on our website and we will work with them to mentor and develop any skill gaps for a seamless return to the workplace. We are much more than a recruitment company, more of a career destination hub providing everything a mother needs to return to the workplace. Why do you feel it is so important? As a mother of two young boys and someone who has spent years building their professional career, I totally understand the desire to balance family life and career, after all just because you have had children doesn’t mean that you want to give up all those years of hard work building your career. If you’re lucky enough to have the choice to work part-time or flexible hours, it’s the perfect solution. There is a vast untapped talent in the mothers within the region who after having their families have not had the opportunity to return to the workplace due to the lack of flexibility and part-time roles offered by companies. What barriers have mums looking to get back into work or negotiate part or flexi-time faced in the UAE? Until now there has been some confusion on the legality of working part-time in the region and we have found many mums asking us about this. The Mums@Work team has spent a lot of time working with DMCC and the Ministry of Labour to understand the processes and we will share this with our clients and companies to facilitate the easy transition of providing part-time roles. Has this kind of scheme worked elsewhere in the world? Part-time and flexible working is very common and successful throughout many areas of the world, including Europe, Asia and the US. There are similar initiatives and in also ones focused on dads returning to the workplace through flexible working. We have chosen to focus on mums at this stage due to visa rules and the higher proportion of mums who currently stay at home in the region. How are you educating key businesses on the benefits of employing mums? We are working closely with the Mackenzie Jones client database of over 30,000 contacts to provide education on the process and vast benefits of employing mums in the workplace. Of course companies can make cost efficiencies through part-time roles, though in addition to this, in our and many clients’ experiences, mums generally have the ‘get things done’ attitude being very focused and productive. What employers will you be working with? We will be looking to work across all industries, from large corporates to SMEs. We are strategically partnered with DMCC and there will be a focus on working closely with the team in this initial stage. Working with the existing clients of Mackenzie Jones database also gives us a great base to start from! What is the involvement of Mackenzie Jones? Mackenzie Jones is one of the largest independent recruiters in the region. Mums@work will utilise the MJ client base and all of the consultants’ knowledge internally to provide flexible roles for mums. How can mums learn more? Mums can visit our website at www.mumsatwork.ae where currently we have a registration page in place, and in the coming weeks our full site will be launched. Those who register will be informed of the roles and support we can offer to get back to the work place. Also follow our social media sites: Facebook, Instagram, Twitter and LinkedIn. 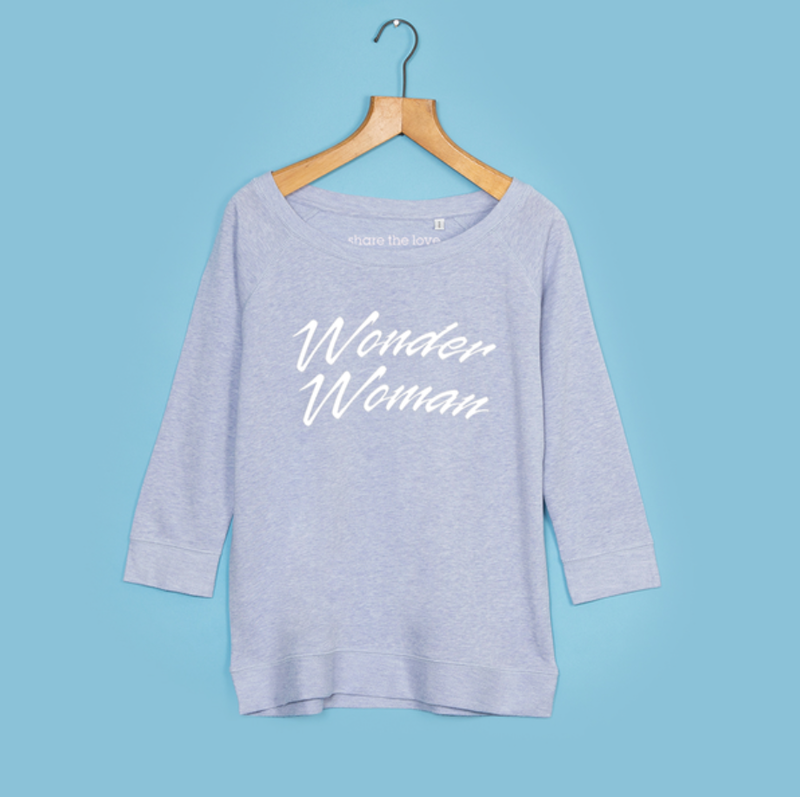 Wonder Woman tee (pictured top) by Selfish Mother, available here.